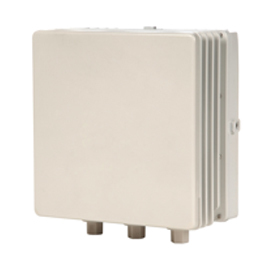 The Siklu EtherHaul 600 is an ultra-small, all-outdoor small cell backhaul product that enables rapid deployment anywhere, from street lamps to rooftops. The EtherHaul 600 has a maximum range of 500 metres, and operating in the 57-66 GHz license-exempt band, the EH600 provides scalable gigabit throughputs, allowing operators to meet the capacity needs of today and future-proof the backhaul network. Siklu products use Silicon Form Factors with a low power consumption which enables for them to be powered by PoE. This offers a longer product life with less points of failure. Every link purchased is qualified for automatic Silver Level Support for one year (with a valid warranty). The EtherHaul 600 offers extremely low power consumption and zero touch installation into an operator's Self Organizing Network (SON) with a full suite of integrated networking capabilities. As a result of Siklu's innovative all-silicon design, equipment costs are dramatically reduced to a fraction of other millimeter wave solutions. 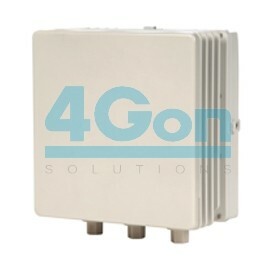 This represents a key stepping stone to the mass deployment of small cells. 4Gon - your Siklu EtherHaul EH600 1Gbp/s Half Duplex TDD, up to 500m, 60GHz V-Band Radio[ETHERHAUL-600] distributor, supplier, reseller! Get all your wifi at 4Gon! If you would like to be notified when the"Siklu EtherHaul EH600 1Gbp/s Half Duplex TDD, up to 500m, 60GHz V-Band Radio" is re-stocked, please enter your contact details and we will notify you instantly.